The European Union (EU) has bowed to pressure from Turkey over an EU funded art project on the Armenian genocide. The project, by the Dresden Symphony orchestra, is to mark the 101 year anniversary of the Turkish-led Armenian genocide. The Turkish ambassador has requested that the EU stop funding for the project claims to Markus Rindt, who founded the orchestra in 1997 reports Stern. While the commission has said there are no plans to removed the €200,000 worth of funding for the project many see the action of taking the event from their website as a bowing to authority in Ankara. Green Party leader Cem Özdemir said that the EU decision “sends the wrong signal,” and that there was no question as to the historical accuracy of the genocide of Armenians during the First World War. Turkish-German musician Marc Sinan who came up with the idea for “Aghet” claimed that Turkey uses the denial of genocide to justify its actions against the Kurds in southern Turkey and in Syria. He said that , “the appeasement by the EU Commission makes Europe complicit,” in Turkish actions against the minority group. “It is completely clear that we will not agree to avoid the term genocide,” he said. The Armenian genocide is said to have seen the deaths of between 800,000 to 1.5 million Christian Armenians during the reign of the Ottoman empire. Turkey, which succeeded the Ottomans, maintains that the actions were not genocide and Article 301 of the Turkish legal code states that referring to it as a genocide is an “insult” to Turkey and punishable with prison sentences. 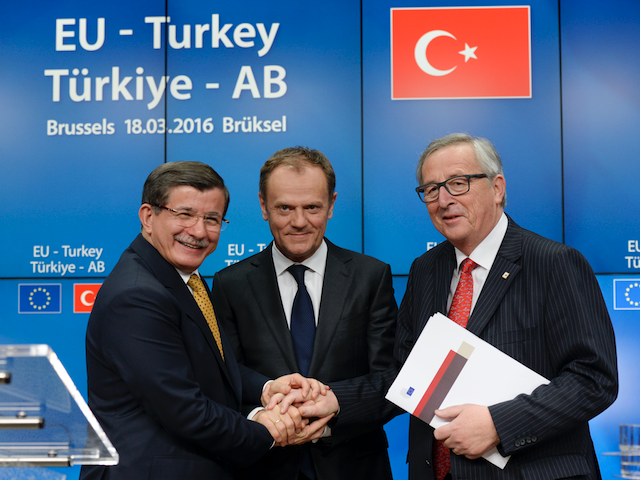 Since the signing and implementation of the EU-Turkey migrant summit deal, the Turkish government has been more bold in asserting influence in Europe. President Tayyip Erdogan has made it clear that he will sabotage the agreement if certain conditions, like visa-free travel for Turks, are not met. Erdogan and the Turkish government have also not been afraid to extend their political repression of journalists to Europe as they have gone after German comedian Jan Böhmermann with the support of Angel Merkel for insulting the president, a move opposed by most ordinary Germans.